The 2017 Bentley Bentayga is a large crossover with exotic curves, luxury riddled interior with 4drs and well above average performance, but the worst gas mileage for its class with 12 MPG city. It has class comparable safety features and with a $229,100 MSRP, it makes this an option for only a small percentage of buyers. This SUV will definitely make you stand out from the crow, even though it only comes in one trim option. 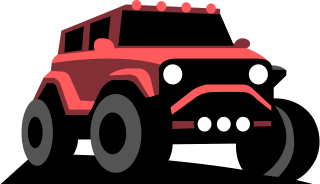 The fully loaded model features a twin-turbo 6.0-litor W-12 with 600HP, 664ft-lb torque w12 engine that runs on premium unleaded (required), paired with a 8 speed shiftable automatic transmission and all wheel drive. This model falls short on its 19 highway/12 city MPG rating. If you're looking for an SUV that can beat out some of the best including the Corvette ZR1, Lamborghini Murcielago and many others, the Bentayga can take you from zero to 60 in just 3.5 seconds (overtaken only by the Tesla Model X of course). The 2017 Bentley Bentayga interior comes in 15 styles. Options include: Cumbrian Green, Beluga, Hotspur, Newmarket Tan, Fireglow, Porpoise, Damson, Burnt Oak, Magnolia, Brunel, Portland, Imperial Blue, Saddle, Camel, Linen. Moroccan Blue, Sequin Blue, Azure Purple, Dark Cashmere, Magnetic, Black Crystal, Silver Taupe, Old English White, Passion Pink, Sunburst Gold, Candy Red, Burnt Oak, British Racing Green (4) (Solid), Havana, Onyx, Glacier Blue (Solid), Spruce, Titan Grey, Jetstream, Arctica, Extreme Silver Satin, Cypress, Magnolia, Burgundy, Alpine Green, Bronze, Ice, Extreme Silver, Grey Violet, Aquamarine, Claret, Camel, Light Sapphire, Gazelle, Volcanic Black, Amber, Sunset, Black Sapphire, Breeze, St James' Red (Solid), Porcelain, Violette, Storm Grey, Pale Sapphire, Brodgar, Special Magnolia (Solid), Kingfisher, Orange Flame, Magenta, Hallmark, White Satin, Moonbeam, Peacock, Monaco Yellow, White Sand, Dragon Red II, Silverlake, Light Emerald, Tungsten, Silver Frost, Light Grey Satin, Burnt Orange, Thunder, Arabica, Ghost White, Silver Tempest, Royal Ebony, Cumbrian Green, Oxford Blue (Solid), Verdant, Marlin, Glacier White, Barnato (Solid), Pale Velvet, Silver Storm, Dark Grey Satin, Blue Crystal, Pale Brodgar, Anthracite, Midnight Emerald, Light Claret, Bentayga Bronze, Pale Emerald, Spectre, St. James' Red (Pearlescent), Light Gazelle, Apple Green, Granite, Anthracite Satin, Citric, Windsor Blue, Portofino, Sandstone, Venusian Grey, Black Velvet, Meteor, Neptune, Light Onyx, Fountain Blue, Light Windsor Blue, Heather, Dove Grey, Dark Sapphire, Rubino Red, Continental Yellow, Damson, Dark Stained Burr Walnut, Tamo Ash, Madrona, Dark Fiddleback Eucalyptus, Chestnut. Safety ratings have not yet been released for the 2017 Bentayga. A base MSRP of $229,100 makes this the most expensive SUV in its class by far. 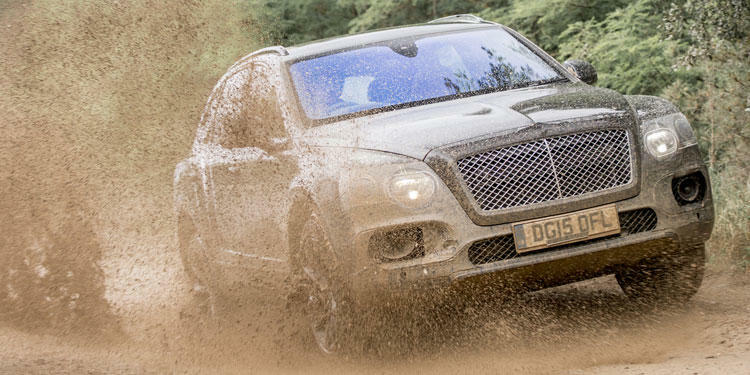 Reliability is not yet available for the 2017 Bentayga. "Value" is not a word that should be considered for the 2017 Bentayga. Its hefty price tag is higher than no others for it's class which makes it the only for choice for this price range. With its impressive features and excellent performance, it also leaves the other competitors in it's dust. This ultra-luxury, high performance crossover 2017 Bentayga blows all other competitors out of the water. Although you can get something almost as good for a lot less, if you\'re truly looking for the best, look no further; you have found it in the 2017 Bentayga.